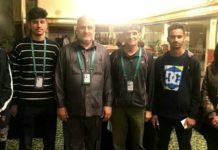 LANDIKOTAL: The Fata Research Centre in its annual report said during the year of 2018 total 264 terrorism-related incidents happened in Khyber Pakhtunkhwa and erstwhile Fata districts that killed 152 and injured 214 persons in 2018. The annual security report issued on Tuesday said that 127 terrorism and 137 counter-terrorism incidents were recorded during the year of 2018. It said compared to 2017 the numbers of untoward incidents had been recorded 325, which showed 17 percent decrease in the terrorism-related incident. It further said 153 terrorism and 172 counter-terrorism incidents were happened in 2017. This shows a decrease of 17 percent in terrorism incidents while 20 percent in counter-terrorism incidents in 2018 as compared to the previous year. According to the report of the total 127 terrorist incidents in 2018, 63 terrorist attacks had targeted the security forces while 58 attacks were carried out directly against civilians. Five terrorist attacks had also targeted members peace committee locally known as Amn Lashkar. 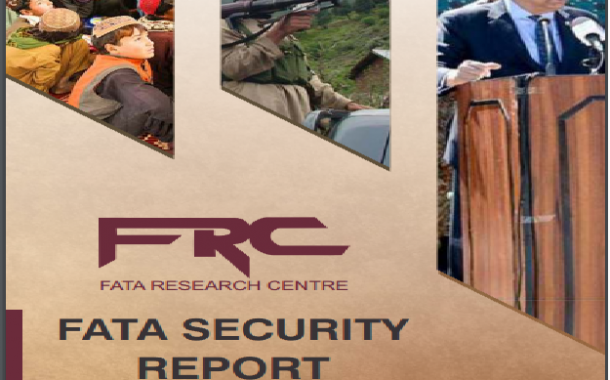 The Fata research report further said that an incident happened between terrorist groups was also report during the year 2018. The report said total 152 persons were killed while 214 others injured in both terrorist attacks and counter-terrorism actions in all the KP Tribal districts, marking a significant decrease of 70 percent in overall casualties. Of the total casualties, the report mentioned that 75 killed and 117 Injured were that of civilians among the those killed in 2018. It said 136 casualties were borne by the security forces which made it 37 percent of the overall casualties while eight casualties of Amn Lashkar personnel in which five persons were killed and three injured during the year 2018. The reports found that in terms of volatility, the North Waziristan tribal district where repatriation of internally displaced person is going on after full-fledged military operation Zarb-e-Azb remained the most turbulent area. It said that total 58 terrorism incidents were recorded in the North Waziristan district during the reporting year compared to 27 such incidents in the previous year. The Bajaur tribal district stood second with 21 terrorist incidents, followed by Khyber and South Waziristan where 18 and 16 terrorist incidents happened respectively. 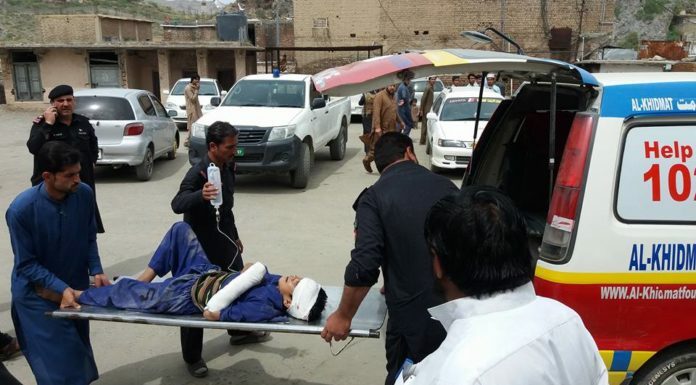 Although only three incidents of terrorism were reported in Orakzai tribal district, however, they remained more significant due to massive number of civilian casualties in these attacks. According to the report Tehreek-e-Taliban (TTP) Wazir Taliban, Mehsud Taliban, Lashkar-e-Islam (LeI), Tauheed ul Islam and Islamic State of Khorasan (ISK) remained the major actors of instability in the Khyber Pakhtunkhwa and tribal districts during the year 2018. 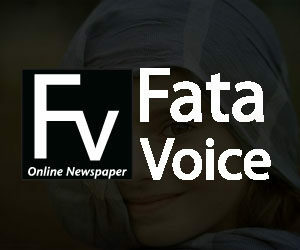 Irfan uddin, a senior security analyst at FATA Research Centre told this scribe that the decline in terrorism incidents in the year 2018 was no doubt illustrates the effectiveness of military operations in weakening the operational capacity of terrorist groups. He said with the new alliance of Baloch terrorist, TTP and other affiliated groups could unleash a new wave of terror against security forces and Chinese working in various parts of the country. “Although the killing of Fazalullah was considered as huge blow to tehreek-e-taliban but the appointment of Noor Wali Mahsud as the new chief has again strengthened the group significantly”,Irfan said. He added that the ability of Noor Mahsud to bridge back the rifts between Mahsud factions of Taliban and the new alliance of the group with Baloch terrorist groups has significantly increased the operational capacity of the terrorists groups to not only carry out terrorist activities inside Khyber Pakhtunkhwa and tribal districts but also could target security forces and Chinese in Balochistan province and other parts of the country. 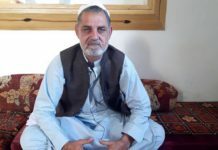 The security analyst said the return of Lashkar Islam head Mangal Bagh to Tirah valley of Khyber Agency also a dangerous indication who could again launch attacks in Khyber Agency. He said Mangal Bagh return to Tirah was the chances to re-emerge of Laskher Islam in Khyber district.